This dish has now become one of my top personal favourites. I have updated this marvellous recipe post with some new photos. 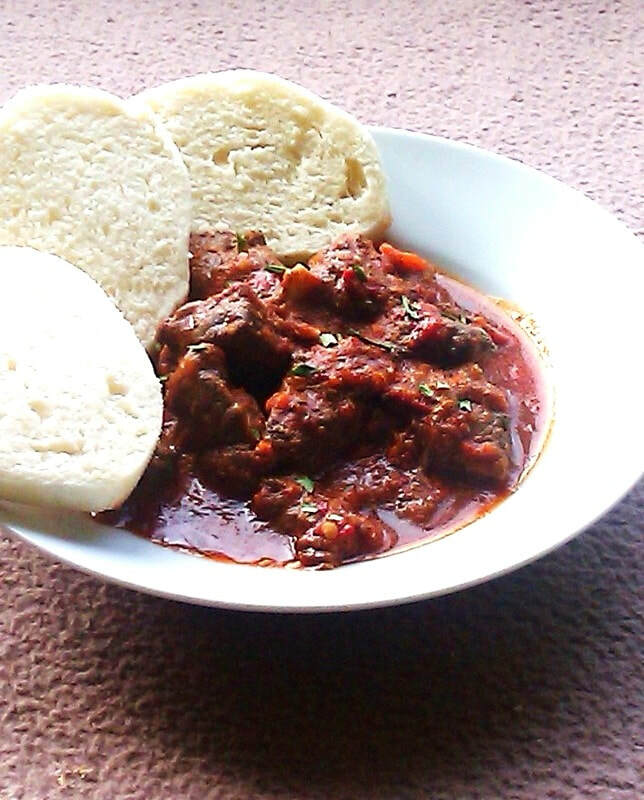 Goulash is a much loved meat soup or stew from central Europe. 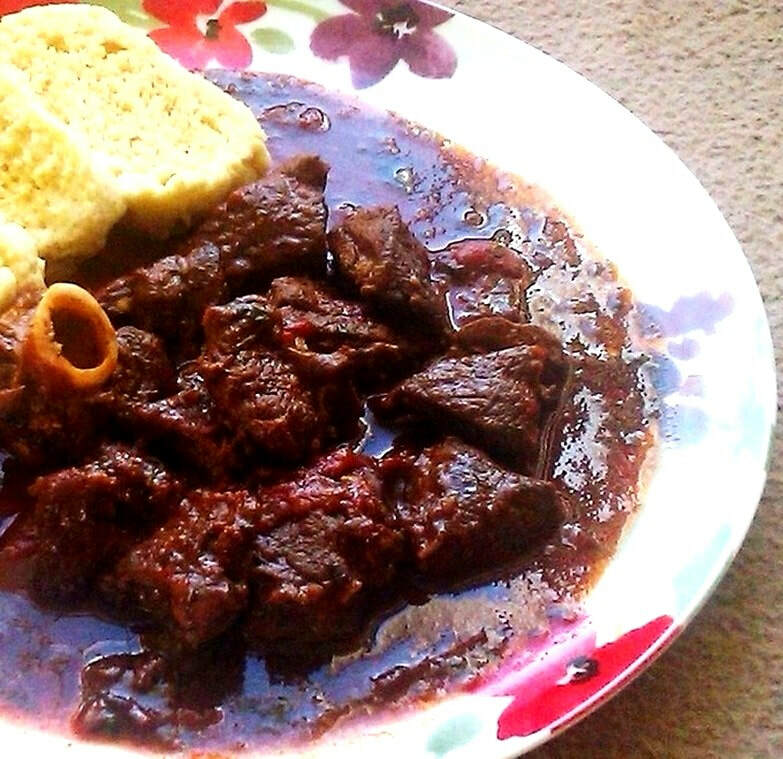 Although the dish is said to have originated in Hungary, various versions of the dish have been adopted by nearby, and neighbouring countries. The most popular meat to use is now beef, although pork and lamb is sometimes used. 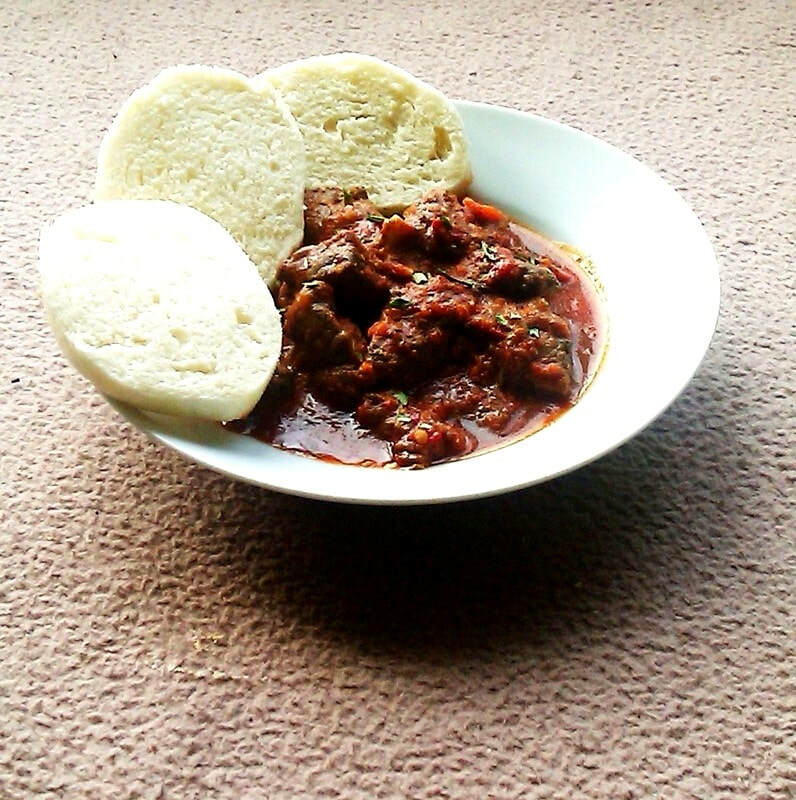 I love goat, and I used goat meat on the bone for this. It was out of this world, much better than my Hungarian version. 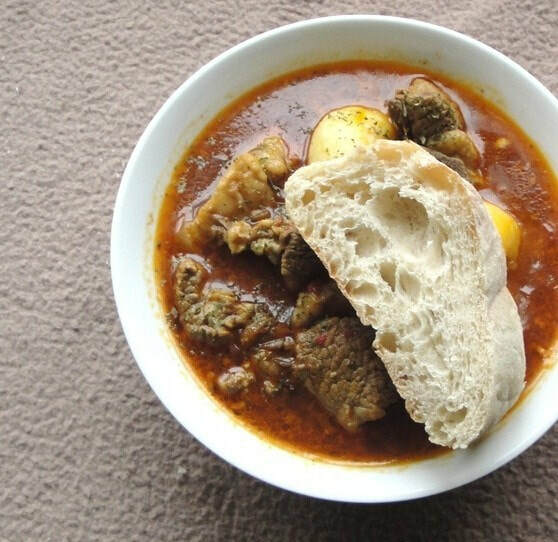 This is a Prague style version, and is a stew not a soup. 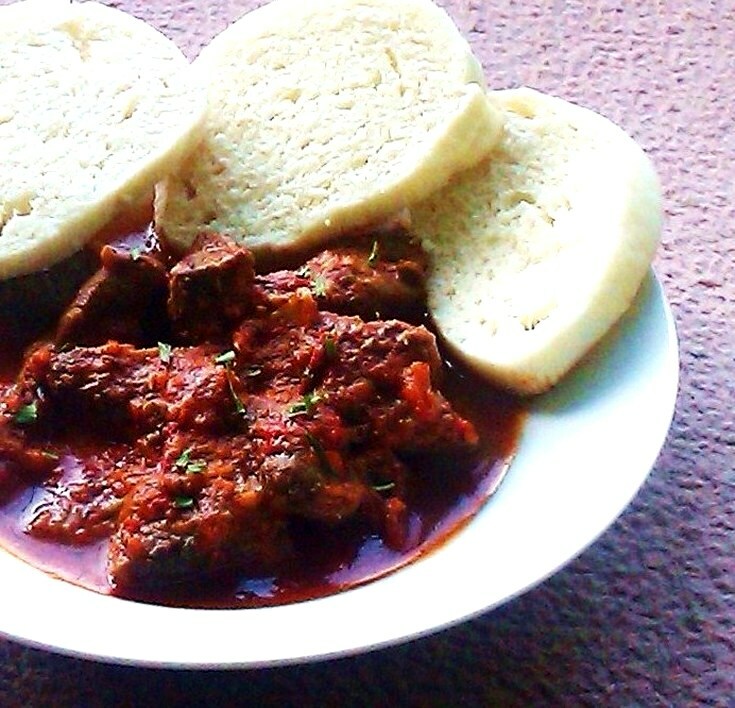 In the Czech Republic this dish is traditionally served with yeast dumplings called knedliky, click for recipe. They are my favourite European dumplings. 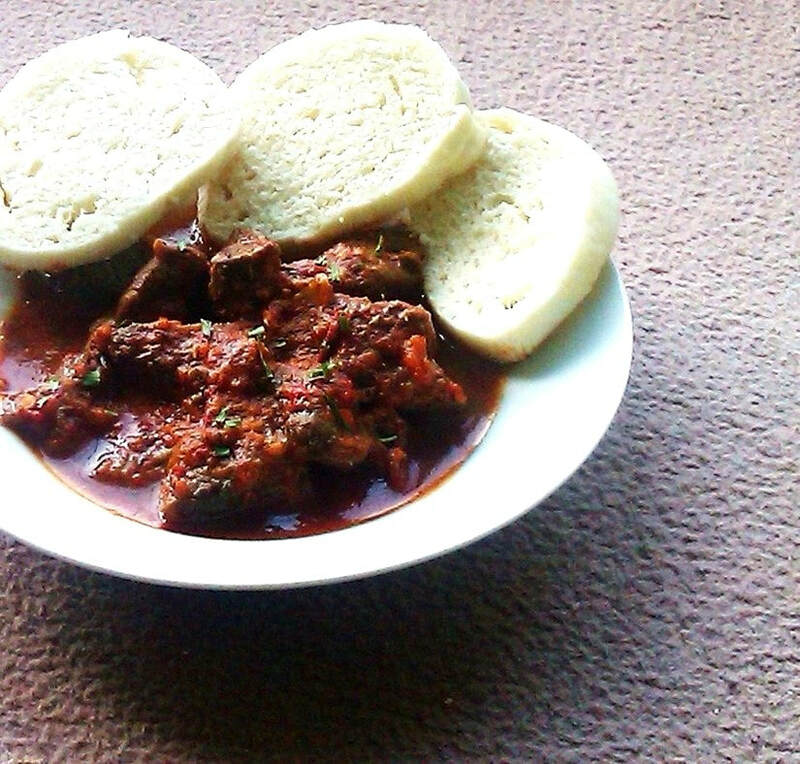 The Czech style goulash is the best. The rich stew pairs so well with the dumplings, they just soak up all that rich flavourful gravy. 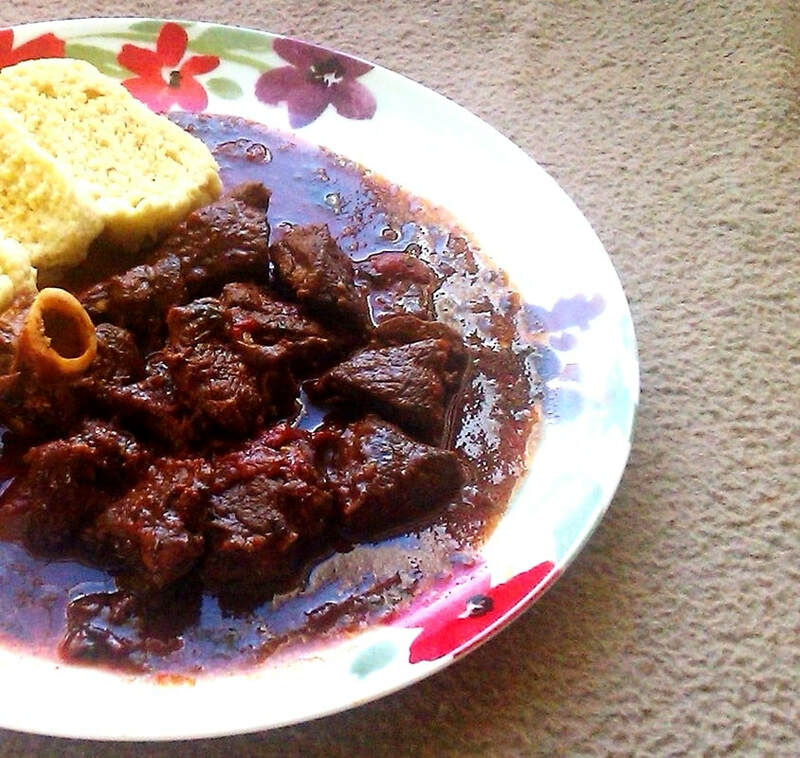 2 OR 3 pounds of goat or beef cut into cubes, I prefer bone in for flavour. 2. Heat about 7 tbs of vegetable oil-or more if needed. Once the oil is hot add the meat. Brown the meat on medium-high heat for about 5-7 minutes, if you need to brown in batches then do so. Once the meat is browned then remove from the pot and set aside the meat. Juices from the meat will be left behind in the pot. 3. Now add the chopped onions, and the garlic paste. If you need to turn down the heat significantly then do so. We are sautéing not burning! Saute for about five minutes. 4. Next add the paprika and tomato paste and saute until the paprika becomes aromatic. You need to cook the paprika/tomato mix down for about another five minutes. 6. Next add the water, about 8 cups to the pot and bring to a rolling boil by turning the heat to high. Now add the stock cubes, the onion whole, the garlic bulb, bell pepper, and boil on high. Goat meat is tough so I boil it on number 7 to 8 the whole time on my stove top. Boiling it softens the meat quicker. 7. After ten minutes add all the remaining ingredients. And add salt and pepper to your taste as it cooks. The water will reduce significantly and you may want to add more water, so keep checking every twenty minutes or so. Of course if you are using beef you can turn down to a gentle low simmer after boiling. 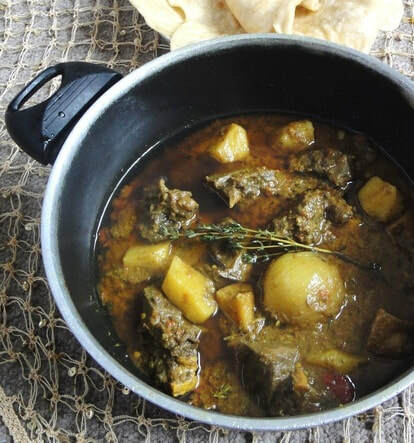 If you do this with goat it will take much longer to cook. 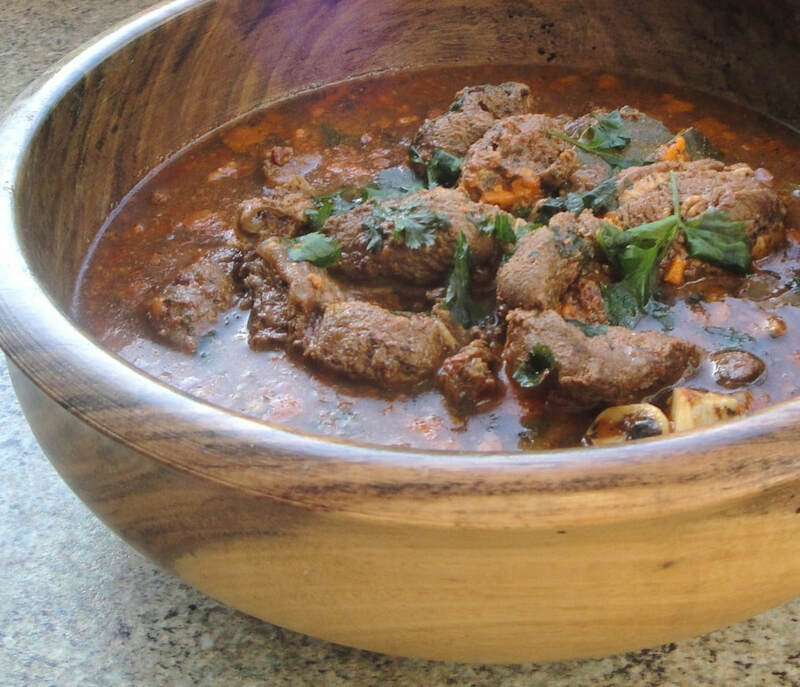 In the end you are supposed to be left with a rich thick flavourful gravy stew.